Some cancers are better than others. Mesothelioma is one of the worst. Alfred was admitted to our ward earlier this week. He is a 78 year old retired shipbuilder. He has mesothelioma in his lung. He spent most of his life in the Naval shipyards welding large plates of steel together to make warships. When he was young, a huge amount of asbestos was used in naval ships. It was packed in thick layers between the compartments of the vessel as it was being constructed. Alfred and his mates played snowballs with lumps of the stuff (of course, no masks were worn then). Asbestos was used in naval construction because it is a refractory material. That means that it will not burn or melt even at high temperatures, so that it will prevent fire spreading from one part of the ship to another. It is also very cheap – a mineral that needs no further processing once it has been dug out of the ground. The reason Alfred came into hospital was because he had suddenly become more breathless and had bad chest pain when he breathed deeply. When we examined him it was clear that he had a large amount of fluid between his lung and chest cavity – a pleural effusion. We were also worried that he may have a pulmonary embolus. Patients with cancer commonly develop blood clots in their veins that travel to the lungs and block up the circulation causing shortness of breath, chest pain and even death if the clots are big enough. His wife was with him. She knew he had cancer. She did not say it, but clearly she thought he was about to die. We gave Alfred oxygen, an injection of low-molecular-weight heparin to prevent further blood clot formation and arranged a CT pulmonary angiogram. The common form of asbestos is chrysotile. This is white asbestos. There is also brown, and the even more deadly blue asbestos. Chrysotile is a fairly simple chemical compound – magnesium silicate. Talcum powder is also magnesium silicate, but asbestos has a different crystal structure to talc. 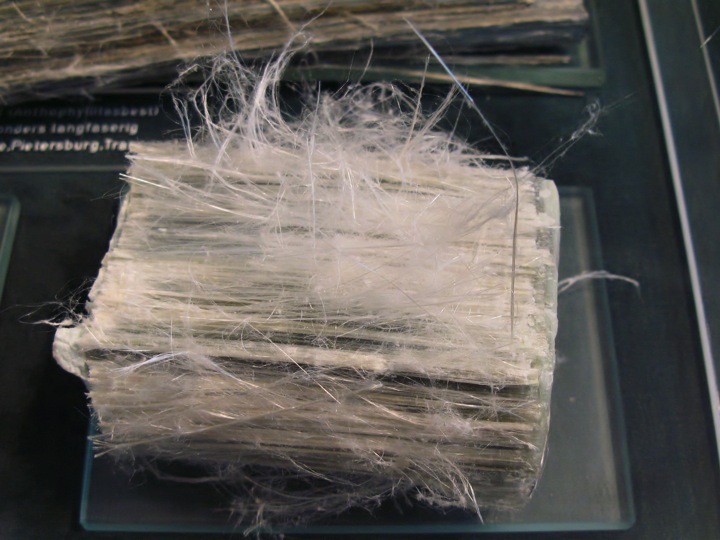 The crystals which asbestos is made of are very long, and very thin and break up into tiny, sharp needles. These needles get stuck into the lung and cannot be removed. Ordinary dust commonly contains silicates. Sand is pure silicate. Silicon and oxygen are by far the two most common elements in the earths crust. Lots of stuff we use every day is made of silicates, including glass, ceramics (the cup you are drinking coffee out of right now), the bricks your house is made of, the cement mortar holding the bricks together, the surface of the paper you put in your printer, toothpaste etc. etc. The reason silicates are so useful is that the silicon-oxygen bond is very strong. 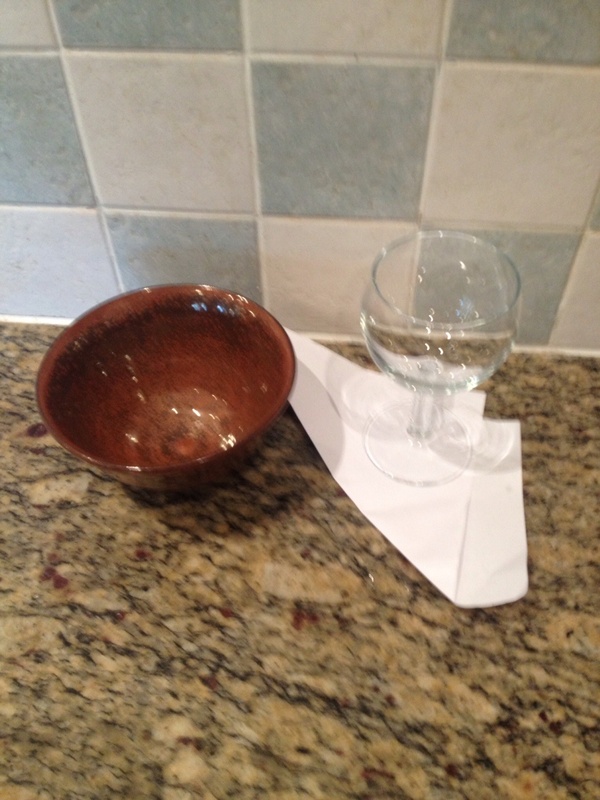 This means when you put strong acids, alkalis or solvents in a glass vessel it does not dissolve. It also means that when it is in the wrong place in your body it can cause a problem because it cannot be broken down. the granite worksurface, the ceramic tiles and grout, the pottery bowl, the glass and surface of the paper are made of silicates. Ordinary dust, in reasonable amounts we can cope with. If it gets down into our lungs, it is trapped by the mucus layer on the surface of the tubes, or bronchi. This mucus is continually produced by goblet cells – called that because they have a goblet shape. Mucus is a very wonderful substance. It is mainly water, but clearly not only water because it is very sticky. It is designed to be sticky to trap dust particles and bacteria. 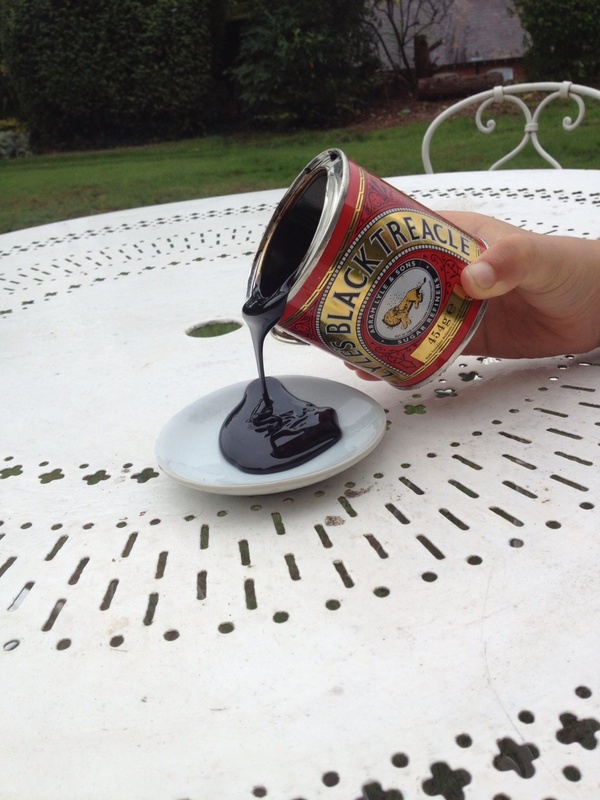 Bacteria don’t like to be trapped in mucus because they find it hard to move around – like us trying to swim in a swimming pool full of treacle. Once the bacteria and dust particles are trapped, tiny, beating cilia on the surface of the bronchial epithelial cells move the mucus layer along. These cilia, which look like miniscule hairs, push the mucus, with its cargo of dust and germs, in one direction – upwards. Eventually, it reaches the larynx and then goes down the tunnel of death – the oesophagus – to end up in the acid of the stomach. No germs can survive this apart from helicobacter pylori – the subject of a future blog no doubt. The cilia are easily damaged. One reason smokers cough is because their damaged or absent respiratory cilia do not move mucus up the escalator, so it collects and needs to be coughed up. Mucus is a wonderful substance made mainly of sugars. Sugars are essentially sticky substances. Lollipops are sticky, honey is very sticky. 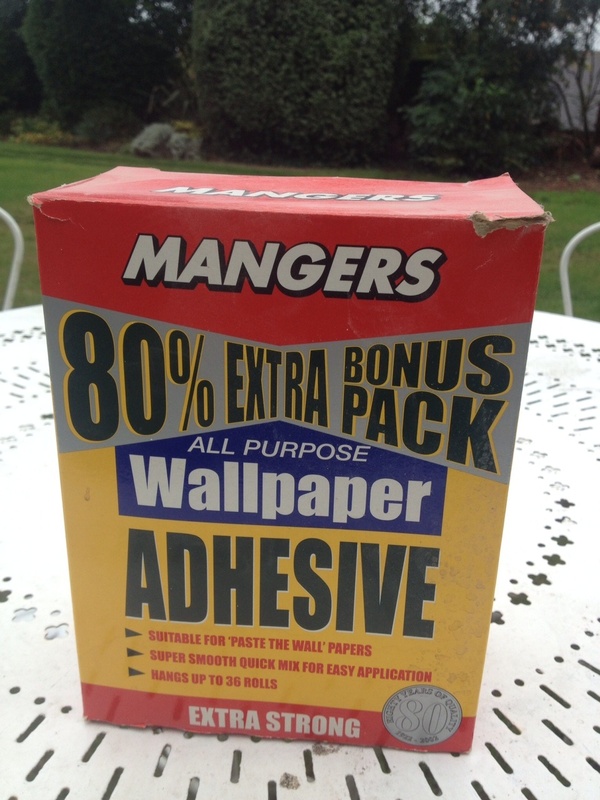 In earlier times wallpaper was stuck to walls with flour and water paste – wheat flour is composed mainly of starch – a long polymer of the sugar, glucose. Modern wallpaper paste is made of methylcellulose – a form of cellulose that dissolves in cold water to make something that looks quite like mucus. We use a lot of K-Y jelly in our work. It is also made from methylcellulose. I have read that many litres of K-Y jelly were used to simulate mucus in the Alien films. The sugars in real mucus are quite special – they are in the form of long sugar chains known as mucopolysaccharides or glycosaminoglycans. I prefer the word mucopolysaccharide. It just means polysaccharide – a sugar chain – derived from mucus. 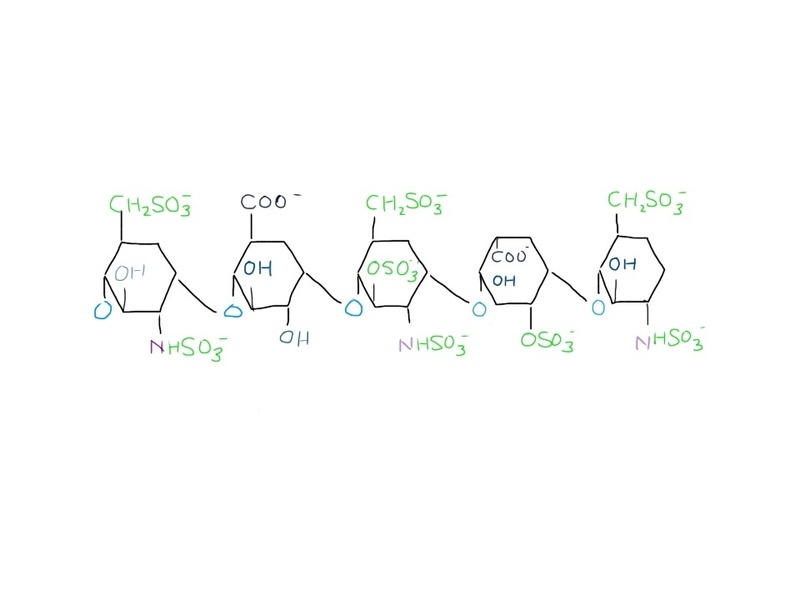 They are special because unlike the common sugar glucose, many of the sugars in mucopolysaccharide chains have an amino group (NH2) and many have sulphate (SO4) groups attached. The sulphate groups make mucus even stickier. The mucus produced by goblet cells is not just a solution of mucopolysaccharides. It is a complex structure. The goblet cell extrudes a long protein molecule called mucin. The sugar chains are attached to the mucin like bristles on a bottle brush. So, on average, mucus has more than twice as much sugar as protein in a large amount of water – rather like wallpaper paste. Our bodies use mucopolysaccharides for a lot of things apart from making mucus. They are important in lubricating joints and are found in the jelly-like vitreous humor in our eyes. Some bacteria produce these sugars as a slime-coating or capsule which makes them more difficult for phagocytic cells to ingest. (See phlegm and horseradish previously). Back to the asbestos particles. Being very thin and sharp, they manage to penetrate the mucus layer and get into the lung substance. They would not cause too much of a problem if it were not for the police in the form of macrophages. These officers of the law are very intolerant of foreign invaders and try to destroy them. (I’m not suggesting police are racist by the way). If the foreign invader is a bacterium then fair cop. If it is an organic substance like wood fibre, engulfing it and breaking it down is also a good idea. The problem with asbestos is that it is a silicate, and even though macrophages can make some pretty nasty chemicals, they cannot break down asbestos. It is like glass or ceramic. That does not stop the macrophage trying. When trying to dissolve foreign bodies, the nasty chemicals such as hypochlorite can damage DNA. This may be why asbestos exposure causes cancer, although the details are not clear at present. There is one place in the body where foreign bodies do not cause inflammation – the anterior chamber of the eye. This is because the damage caused by cells such as macrophages would endanger our sight. The eye is known as an immunologically privileged site It means that we can put new plastic lenses in the eyes of patients with cataracts and graft a new cornea from donors without needing immunosuppressive therapy. And now back to Alfred. He was found to have several large blood clots in his lungs. They had formed in his legs or large veins in the abdomen and travelled upwards and got stuck, reducing the flow of blood in his pulmonary arteries. We treated him with enoxaparin – a low molecular weight heparin. He got better quite quickly and went home with his wife a few days later. She looked much happier than when they arrived. We taught her how to inject her husband with heparin every day. Heparin is a mucopolysaccharide, made from cow lungs or pig intestines. It is made from the slimy stuff on the surface of the tubes – the mucus. It is separated from the protein it is stuck to using enzymes and chemicals, and purified – the bristles are removed from the brush. We used to use this unfractionated heparin to prevent and treat blood clots. Now the long sugar chains are chopped up into five-sugar lengths – low molecular weight heparin. This is easier to give by an injection under the skin rather than into a vein. It is also more reliable in treating and preventing blood clots. Heparin interferes with the horribly complicated cascade of events that leads to an insoluble protein – fibrin, being formed from the soluble clotting factors circulating in our bloodstream. The system is so complicated because it is vitally important. Stopping blood leaking out of holes in our blood vessels is pretty high up the list of things we have to get right if we are to survive as a species. The clotting cascade is designed to produce large amounts of fibrin clots very quickly when we need it – whether you are being savaged by a wild beast or crushed by a bus, clotting can save your life. But blood clots in vessels without holes to repair can also be fatal. Alfred could well have died if he had not been treated with heparin. 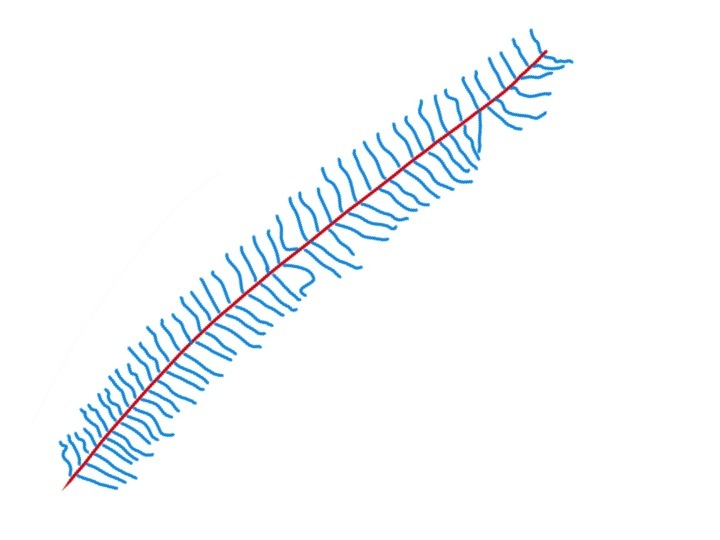 Fibrin formation is responsible for forming clots in veins. It also strengthens the clots formed by platelets in arteries. The problem is that patients with cancer, or people who have been ill and immobile (or even after a long-haul airplane flight) can develop clots in their veins even when there is not a hole in them. We suspected Alfred may have a blood clot problem because we found a high concentration of D-dimer in his blood. When a clot forms, say in the wall of an artery which has been damaged, it is remodelled by an enzyme called plasmin which dissolves fibrin. This shaves away the unwanted bits of clot to make them neat and fit for purpose. 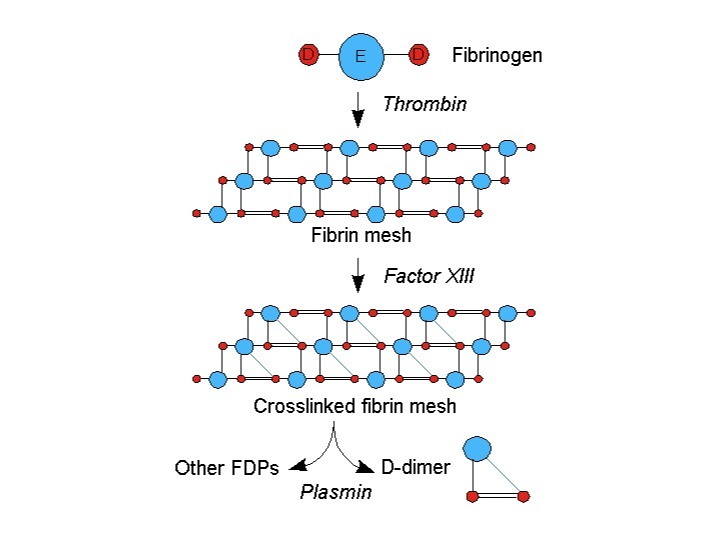 The fibrin turns into, among other things, D-dimer. Whenever there is a lot of fibrin clot around, the D-dimer level in the blood increases. Now the food link. I’m particularly pleased with this one – black pudding. I went to the butchers yesterday to buy some. I fried it with tomatoes, bacon and sausage for a late breakfast. Black pudding is made in the UK from pigs’ blood. It is cooked, which makes it clot, and mixed with oatmeal and herbs and stuffed into a pig’s intestine from which the inner surface or mucosa has been removed. Drug manufacturers use the mucosa to make heparin. 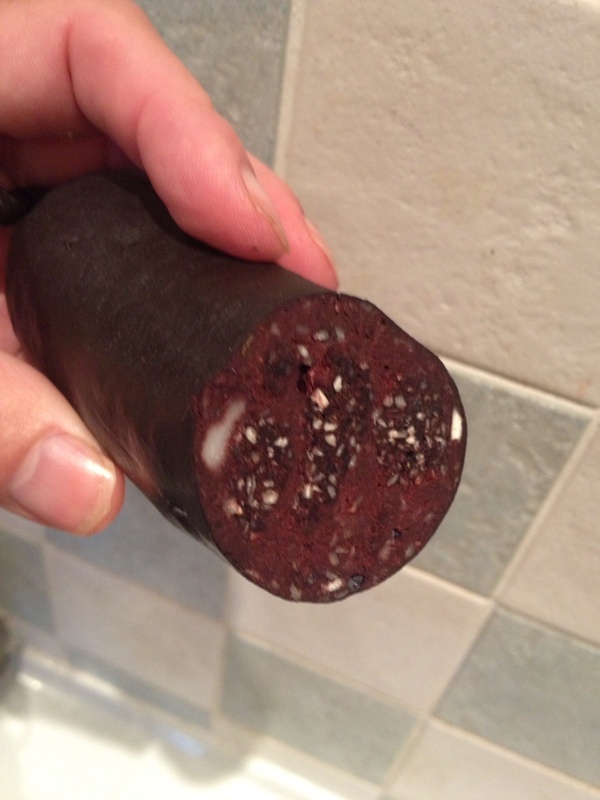 So, black pudding is a large blood clot made in the very organ that gives us a drug for preventing blood clots!